Fully satisfy your range and training needs. 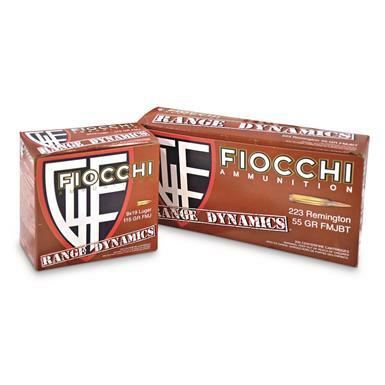 Fiocchi® Range Dynamics Ammo offers the perfect combination of performance and price you'll appreciate on day-long sessions at the range with family and friends. There's no reason to settle. You still get the finest components available put together by five generations of experience all at a price your budget will like.